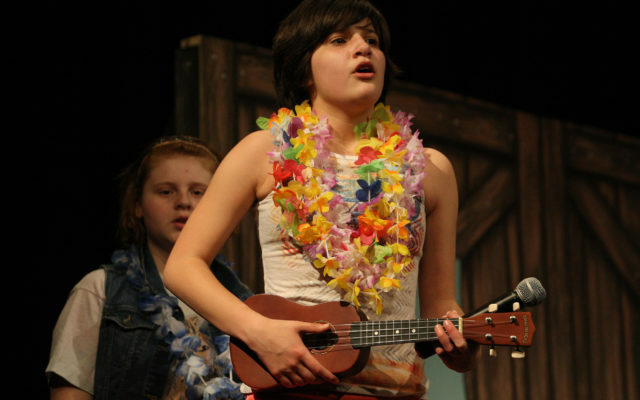 Directed by Jason Anderson, the play was a heartwarming musical about the joys and struggles of growing up as a teenager, through the eyes of the lead character of Edwina Spoonapple, featured in a dual role portrayed by eighth-grader Lydia Byron (Wednesday’s show) and seventh-grader Kaitlyn Kenney (Thursday’s show). Based on the book by Marcy Heisler, the play featured a “show-within-a-show” format as the star, Edwina, hosts her own talk show, giving advice to family and friends through song. 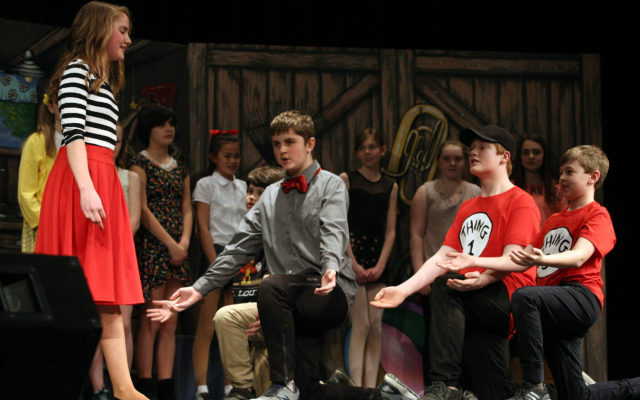 The show was a “junior” version of a Broadway production, which focuses on producing show materials for students in grades 6-9, Anderson said. As such, the goal of the Broadway junior program is to expose young performers to the magic of musical theater. The plot follows 13-year-old Edwina, who is desperate to be part of the “Kalamazoo Advice-a-palooza Festival.” Her siblings have a wealth of talent, but she fears she does not. But when a talent scout from the convention visits her hometown of Paw-Paw, Michigan, Edwina uses the opportunity to perform her show, with the hopes of landing a spot in the festival. Anderson said that the songs in the production had a bit of a “Schoolhouse Rock” feel to them in that each reveals a lesson for the cast. Others in the production were Jack Hodgdkins, Hillary Peabody, Nicholas Hardy, Grace Kafferlin, Rider Austin, Kristian Kellerhals, Natalie DeLucca, Alex Craig, Ariana Ardell, Jordan Fitzpatrick, Elizabeth Howe, Hailey Suitter, Emma Merrill, Amelia Callnan, Lindsey Bartman, McKenna Phillips, Hannah Duchesneau, Ella McCarthy, Lucy Hebert, Gabby Duchesneau, Helen Hebert and Mallory Woods. 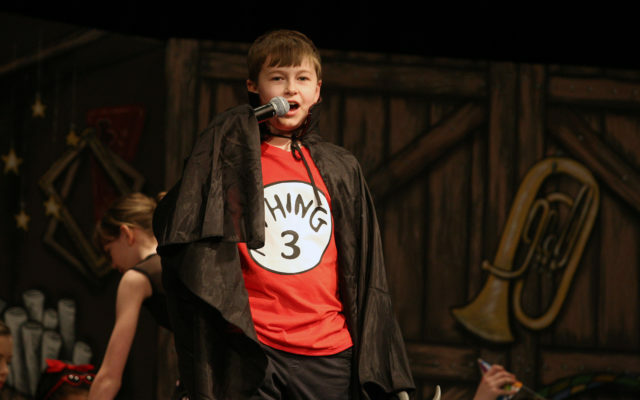 Houlton’s Jack Hodgkins sings a campy song as the vampire “Vladimir” during Wednesday night’s performance of “Dear Edwina, Jr.” at Houlton Middle-High School. 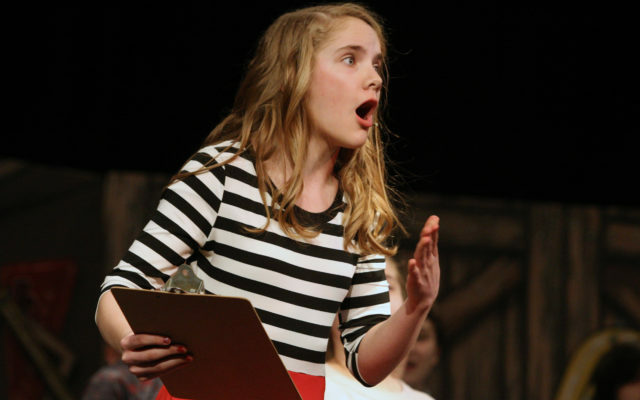 Hailey Suitter peforms a song during Wednesday’s production of “Dear Edwina Jr.” at the Houlton Community Arts Center. 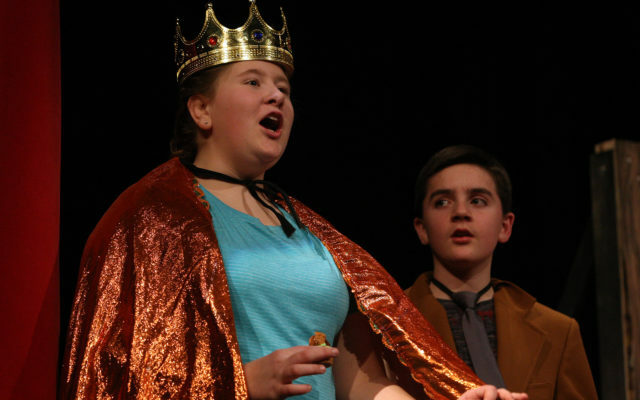 Houlton’s Lydia Byron sings a song as the lead character of “Edwina Spoonapple” during Wednesday night’s production of “Dear Edwina Jr.” at Houlton Middle-High School. 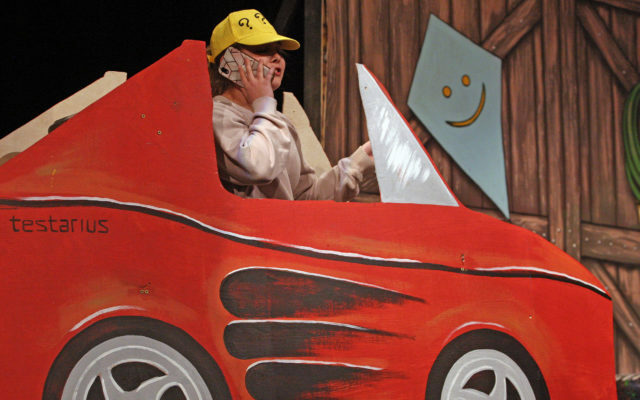 Mariah Peterson performs a scene during Houlton Middle-High School’s production of “Dear Edwina, Jr.” Wednesday evening.